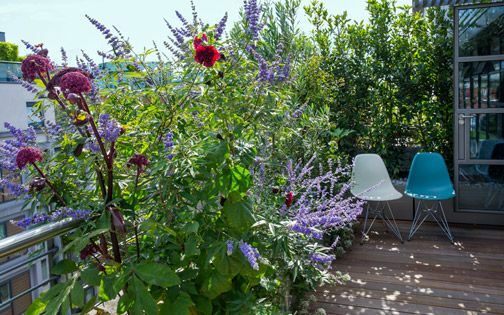 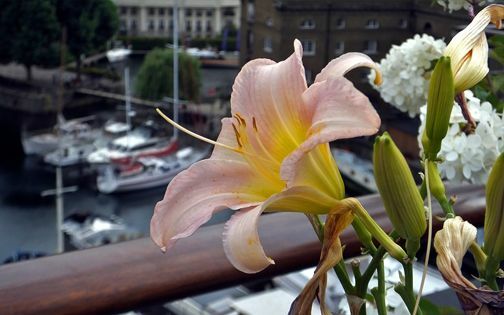 Perched above a busy Clerkenwell streetscape, this private roof terrace features a myriad of wildlife friendly plants, and sustains a diverse range of insects, butterflies and birds. 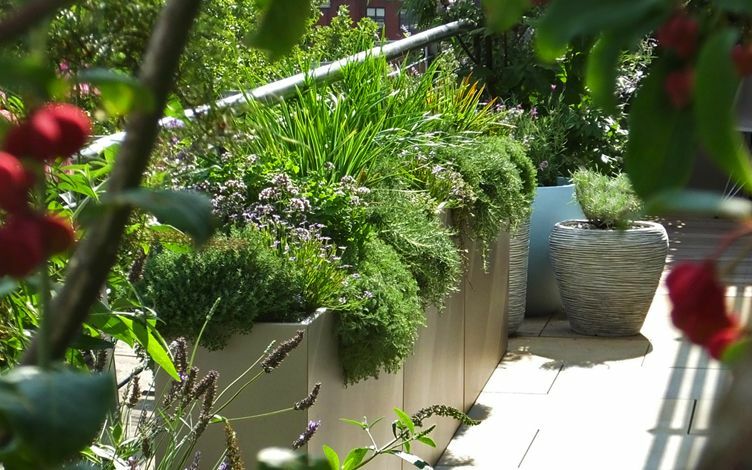 We designed a verdant rooftop sanctuary to enhance urban biodiversity, while maintaining a contemporary layout within a trio of roof terraces which surround this unique penthouse apartment. 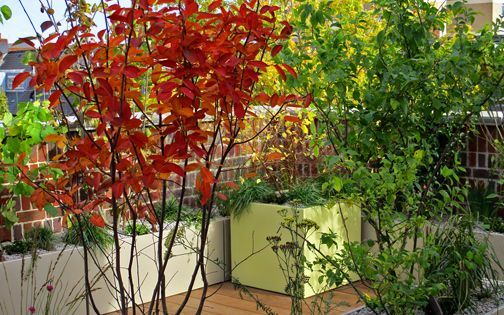 A breadth of sustainable native trees, herbs, hedges, perennials and fruit espaliers replenish local wildlife and our clients' kitchen in a modern eco-friendly roof terrace design. 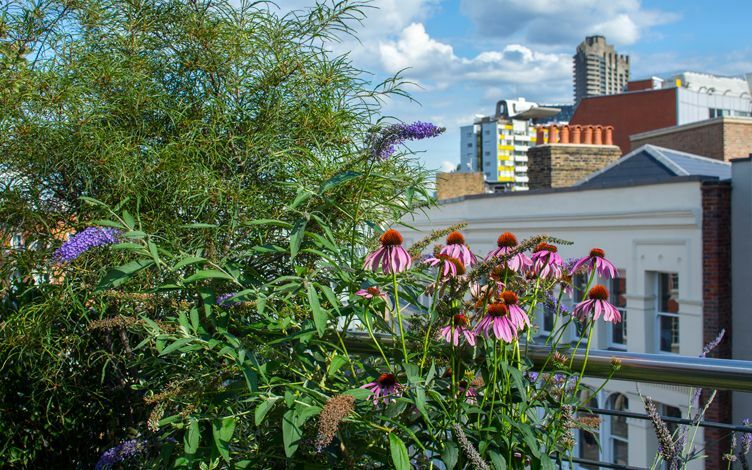 We develop many Clerkenwell roof gardens, yet when we observed this hectic crossroads closely, we realised it's in fact treeless. 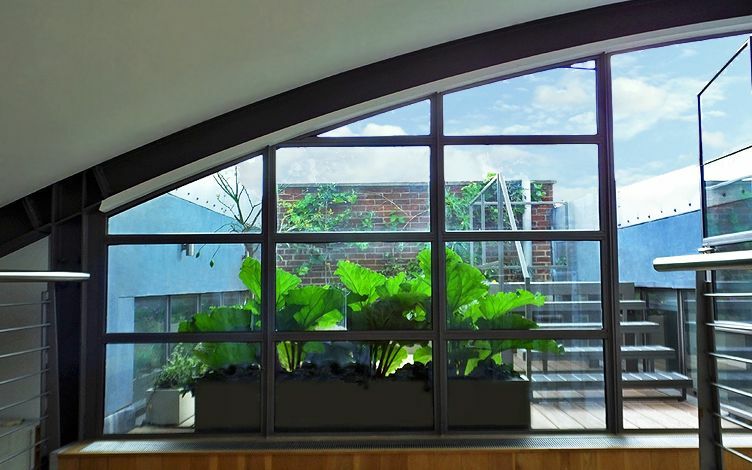 While our clients encourage a naturalistic approach in their country home, we designed a sustainable rooftop for this Central London residence. 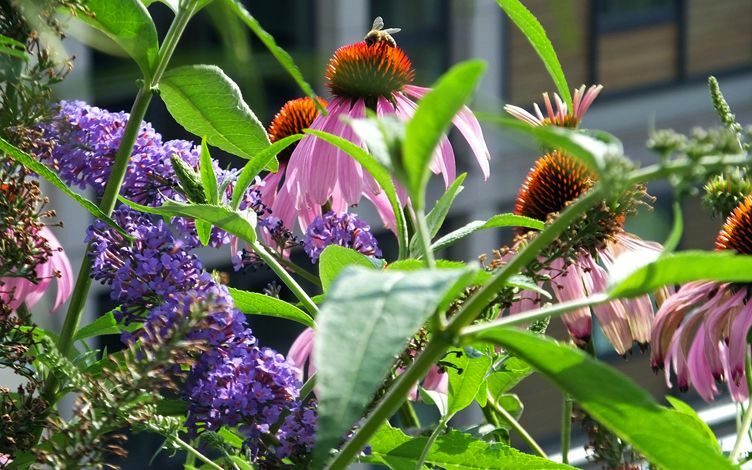 Our shared ecological mindset inspired the vision for three outdoor spaces, where an urban cityscape was transformed into an emerald landscape teeming with wildlife. 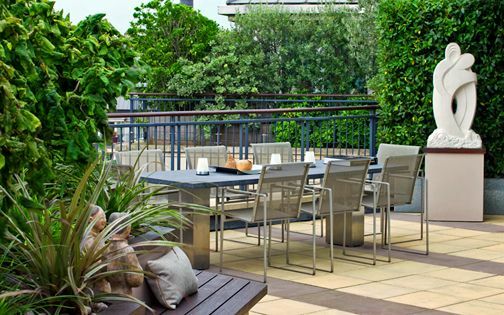 With each terrace featuring a distinct microclimate, we set out to reinvent its core essence from a typical, contemporary penthouse rooftop into an ably diverse native garden. 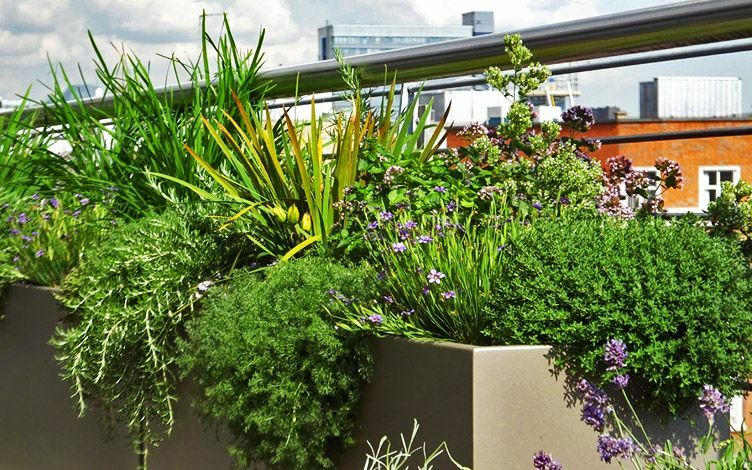 Many commercial city roofscapes keep beehives, contributing to a substantial increase in bee populations, yet, the green roofs which sustain precious nectar provide merely a limited seasonal supply with a minimal flora palette. 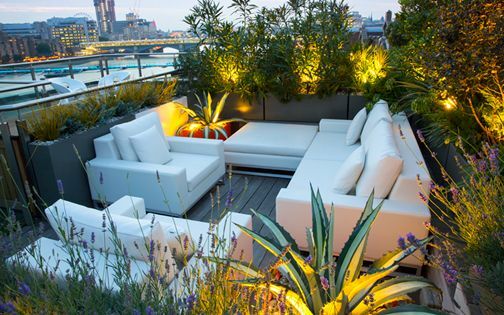 The arrival of wildlife within the terraces here was instantaneous, vividly renewing outdoor space with a discernible buzzing resonance. 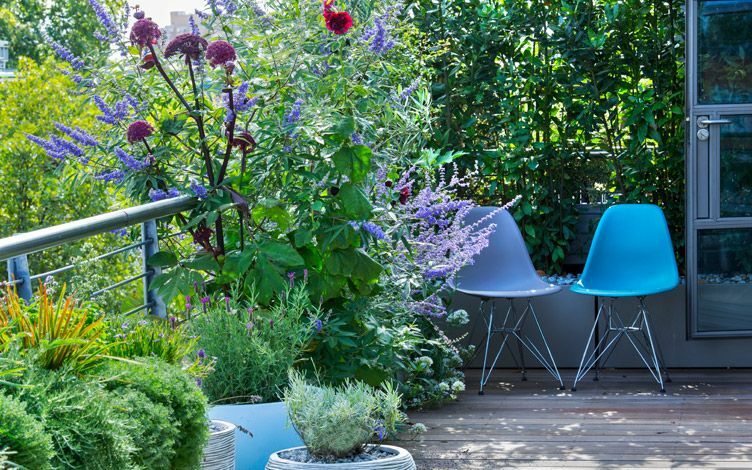 While the architectonic mosaic forming our urban terrace skyline gathers momentum at an unprecedented velocity, its biodiversity regrettably diminishes. 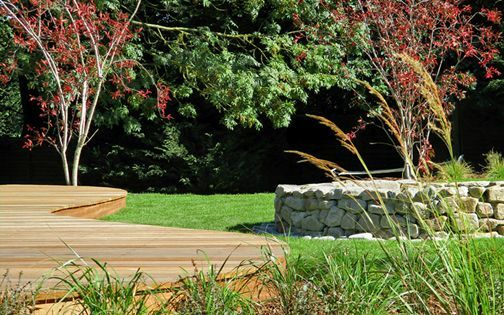 By planting a green landscape, we produce cleaner air, and soften the sternness of a sterile futurescape. 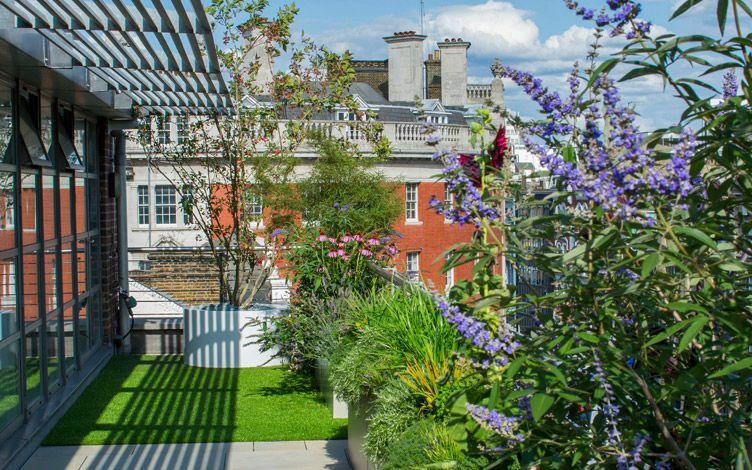 Although aerial photography often illustrates London's picturesque, metropolitan lushness, the capital's pivotal sight lines are in fact variable within vantage points of urban well-being, since verdant panoramas are increasingly restricted, lacking invigorating essence. 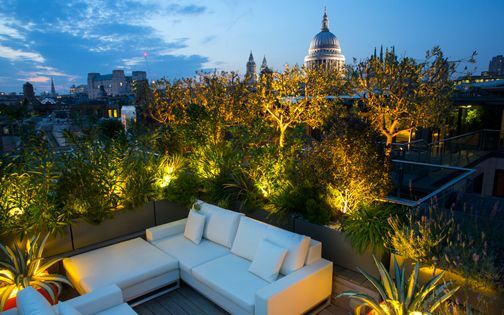 Urban sustainability is a long way off from achieving its goals, and while London's prosperity is invariably dependent on comprehensive land development, so do irretrievable habitat loss and unrelenting concrete-to-foliage ratios increase. 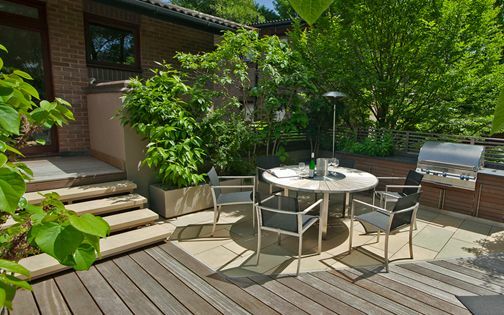 Our clients' mindset steered the design process, providing an inspiring cue to a verdant backdrop, set within a strident urban milieu to conserve vital native species, and preserve resources. 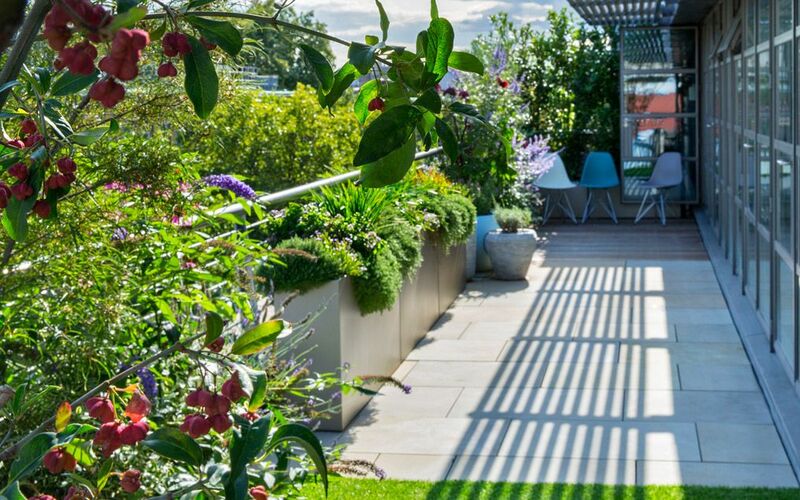 Across these rooftops, we utilised artificial grass as a low maintenance surface, requiring no water. 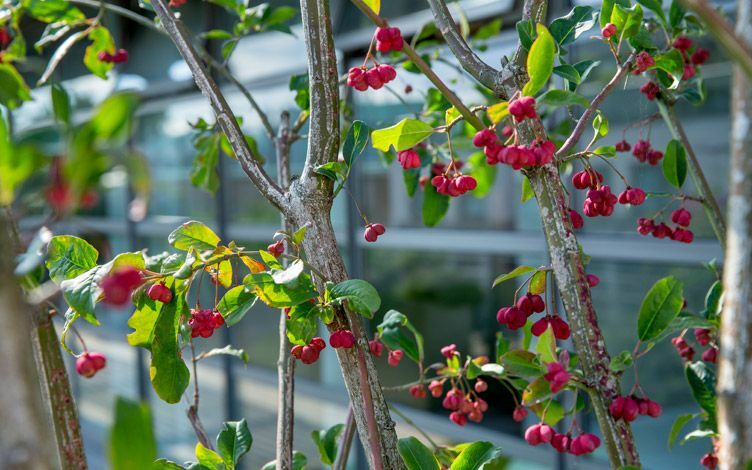 Our contemporary essence remains a central motif, while enhanced by flora biodiversity which extends seasonal energy, contrast and culinary enjoyment. 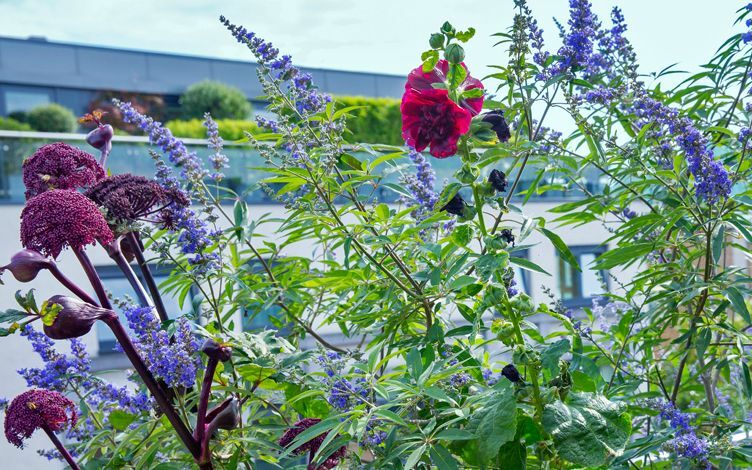 Across the secluded upper roof terrace, a warm microclimate enables a cultivation continuum of edible foliage, fruit and berries – shared by our clients and local wildlife. 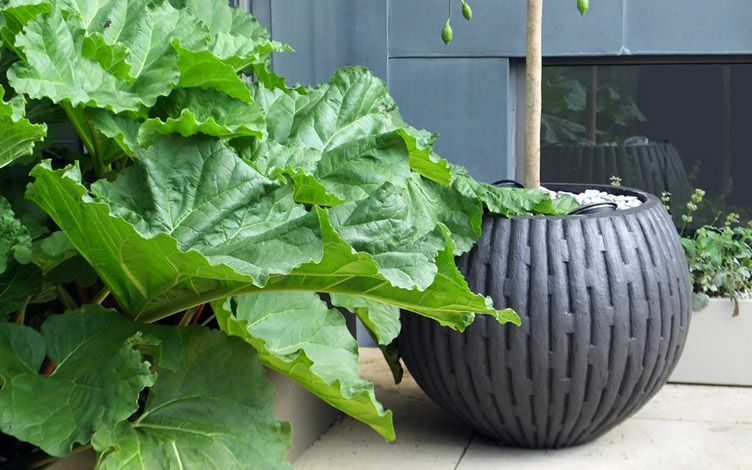 Grapevines, Apple espaliers and Figs produce sustained, aerial tapestries within a biophilic design, evoking an innate and much-needed connection with nature. 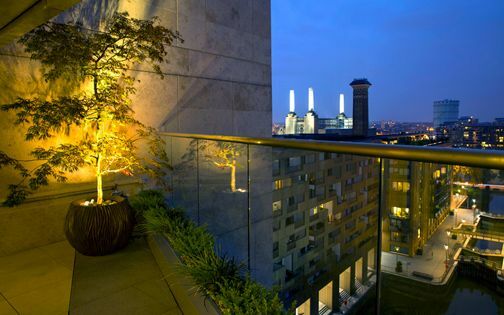 A bespoke steel staircase unveils up-close city landmarks, appreciated amid a framed vista of abundant leafiness. 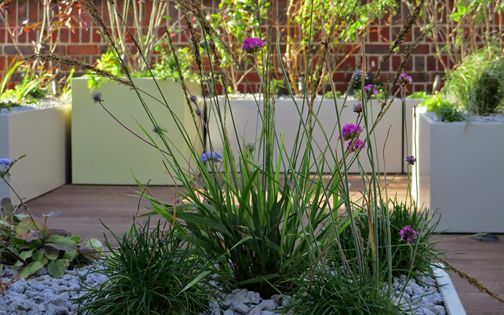 Native Alder, Hawthorn and Spindle trees, Burnet-saxifrage, Foxglove and Wild teasel form a dynamic interplay of rhythms, colours and textures. 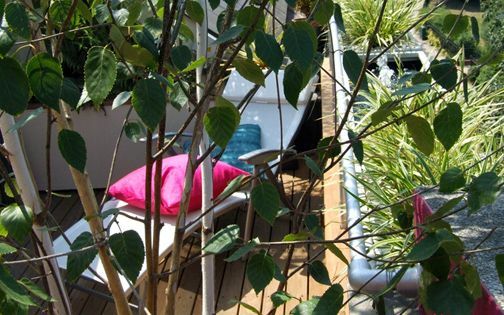 When winter sets in, the rooftop terraces' architectural design generates structured silhouettes with Bay laurel, Cotoneaster and Olive trees. 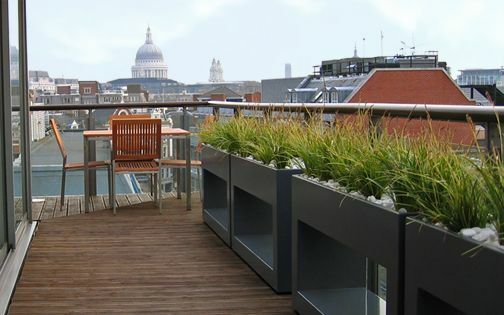 Evergreen and deciduous species are well integrated within a contemporary rooftop design, accentuating the change of seasons effortlessly – in a balanced, sustainable and broadly diversified roof terrace environment.